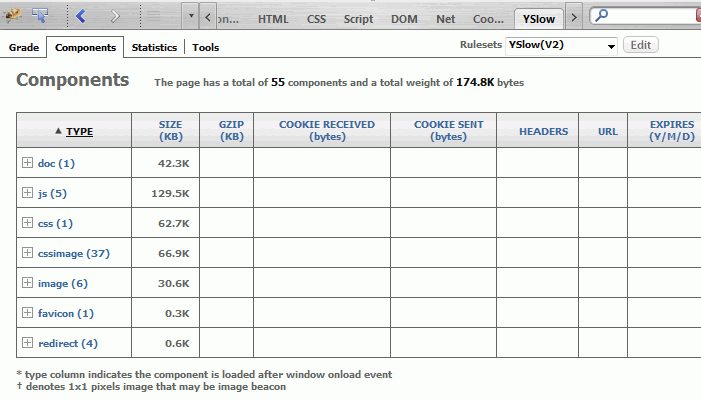 Web site page load speed optimization is now the topic of discussion on alot of online webmaster forums. Ever since Google announced changes to their search algorithms to factor in web site page loading speed, there have been alot of tools, guides and resources popping up on the internet for helping webmasters reduce their site’s page loading times. If you want to squeeze out even more site response time speed, you’d also want to look at improving domain name DNS response time and latency and implementing CDN static file servers. The most used tool in my arsenal – be careful not to get addicted into constantly tweaking and tuning your site’s page loading speed for shaving off that last second! You’ll need to have Firefox browser installed to make use of all these firefox adds. 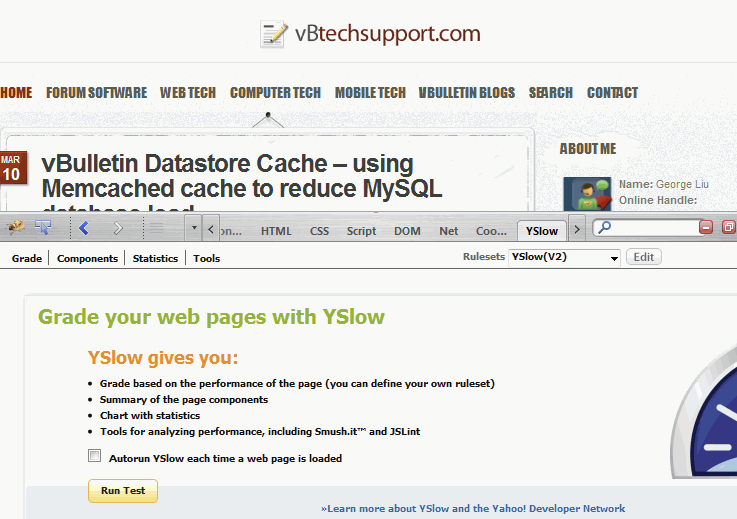 If you don’t use Firefox browser, you can also check out online GTMetrix.com tests which have both a Google Pagespeed and Yahoo Yslow grade score breakdown. 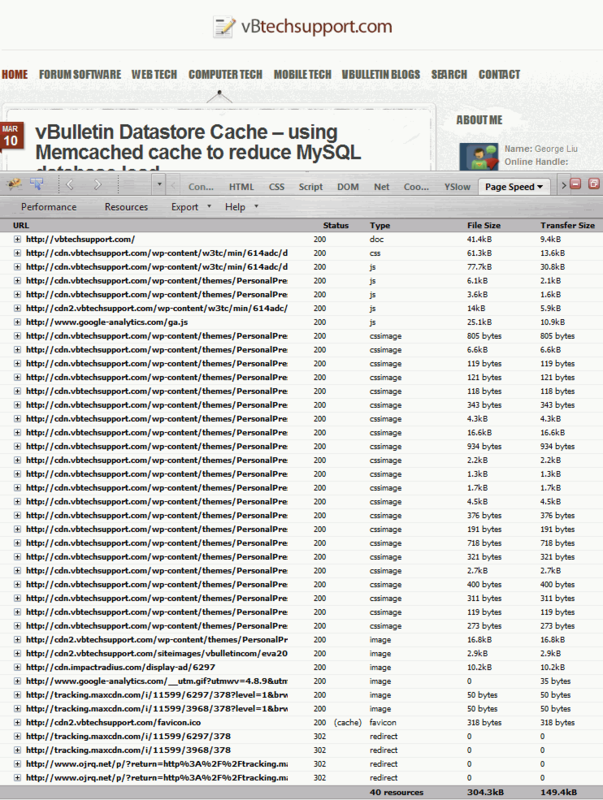 Not as much detail as Firefox Firebug + add-on though. 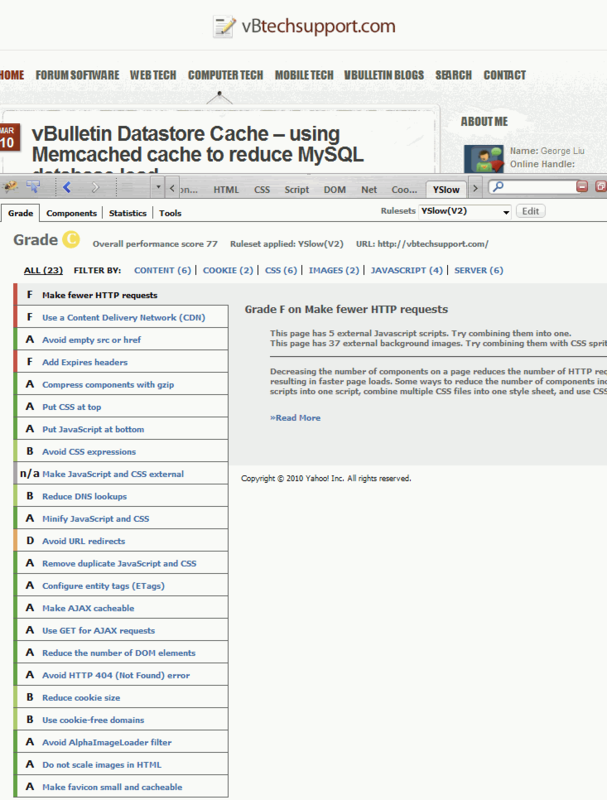 Browser plug-in for Internet Explorer that visually displays the underlying requests made by the browser for content. 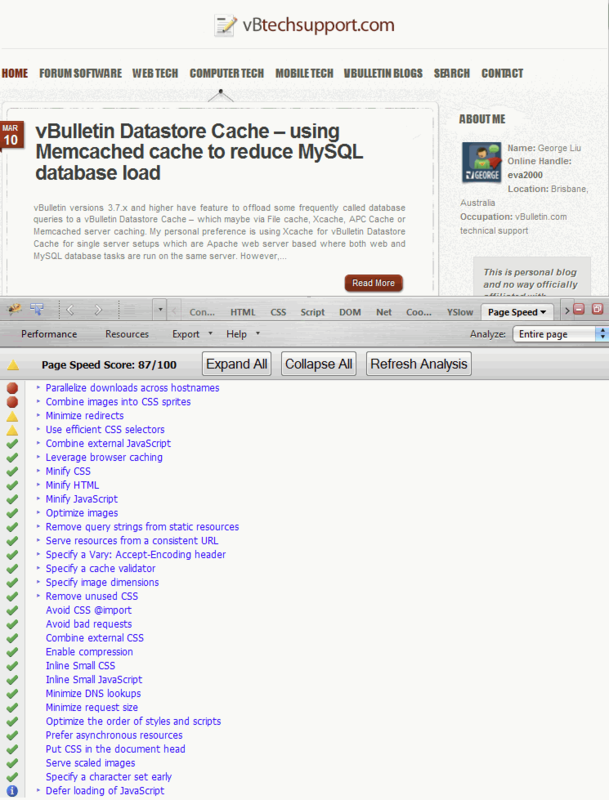 It also provides suggestions on how to improve the performance of the measured page. vbtechsupport.com © 2019. All Rights Reserved.